You can simply look for reclaimed wood flooring not only when you are remodeling your very own floorboards of your home, but also from abandoned factories or rural buildings, mills and condemned properties. If you find that the woods are still in good condition, you can even use it to add more character to your new properties and at the same time you manage to conserve natural resources. For those of you who have reclaimed wood flooring, you can sell them to timber mills, lumber companies, artists and even contractors. Nowadays, most house owners are looking more to eco-friendly concept by using reclaimed wooden flooring when they want to create décor solutions to their existing home so that it can increase the value of their properties. First thing that you need to do is to take pictures of your wood flooring. Photographs of your wood flooring should be taken either before you strip your old floorboards from the existing area or right after you have harvested the old wood floorings. The ability to sell your reclaimed wood flooring also depends on the type, quality and also amount of your wood flooring. are just a few companies that would like to purchase as well as selling reclaimed woods. Once you have found the websites of companies that can purchase or sell reclaimed woods, you should review them in order to determine their preferred contact procedures. Some of the companies normally prefer to be contacted through email address or via their website form while some companies just uses the telephone for normal communication. Contact them to make sure how you can arrange to sell your reclaimed wood flooring or even seek their advice or solution. Then, you can proceed to email or telephone the companies informing them of your intentions. You need to tell them what type of wood flooring that you have in your possession. 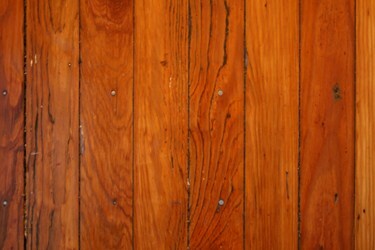 What material is your wood flooring is made of and how the wood is finished. You need to measure the wood flooring and inform them the length and width of your wood flooring. Try to ensure that your email that you send to the companies are friendly and brief with complete information of the material without showing them your true intention of selling the material to them. You also need to provide any follow-up materials required by the company like photos of the wood flooring or sample of your hard wood. You must always be patient and polite when you are dealing with the company and allow them time for making a decision whether your wood flooring is good enough for them to purchase and match their requirements. Once you have found the company who is interested with your proposal, you also have to discuss the sales and removal process along with other activities whether they provide the service of tearing out the old wood flooring if the material is still attached within your house. Another method that you can use is to search for local contractors or interior designers through your local Interior Design Directory, Green Contractor Guide as well as your local chamber of commerce. Once you have found the company, you can approach them through the telephone to inform them that you have reclaimed wood for sale. Contractors or interior designers would be able to assist you as they might be having client who want to use reclaimed wood floors and they can make appointment for you to meet them for further negotiation. Apart from that, you can also ask them whether they know any woodworkers or sculptors who require the wood if there is no buyer available. Make sure to also provide them with images of your wood, how much of wood that you have and to provide them with samples. Once you have done your job, you must wait for potential buyers to contact you and make you an offer. You will find that mills companies have already set price that they are willing to pay for any materials that they want based on the condition of your wood flooring but for other buyers you would be able to negotiate the price with them. Another way is for you to see several green contractors to be able to know how much they would pay for reclaimed wood flooring so that you can have a rough idea on the reasonable price that you can get for your material. Finally, you can review the offer and make a decision on the better offer that you can get based on the pricing and also convenience. Make sure to make the call and inform your potential buyer that you have accepted the offer they made to you. And you find out that your wood flooring is in bad condition, you can still use or sold the wood for firewood purpose. Always sort your reclaimed wood flooring into several types such as discarding broken, rotten or poor-quality wood. Always promote your reclaimed wood flooring to your potential buyer because most of them have unique story behind its history. For example, it might have been used for shipping heavy cargo across the Pacific Ocean or even being used for keeping wine at a California winery. Any kind of history would definitely create a selling point for your wood flooring or even for your home if you want to sell it. This entry was posted in Home Improvement on December 20, 2011 by Mike.